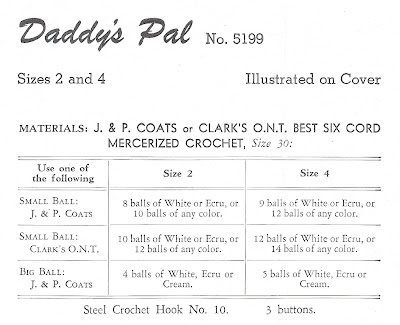 Today I'll be posting a couple of free vintage patterns, since it's been quite some time since my last post. 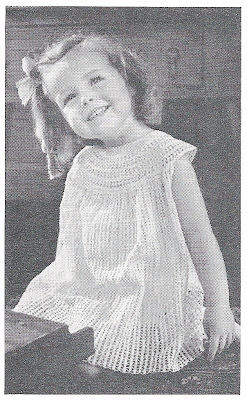 The first one is this adorable crochet pattern for your favorite little girl. 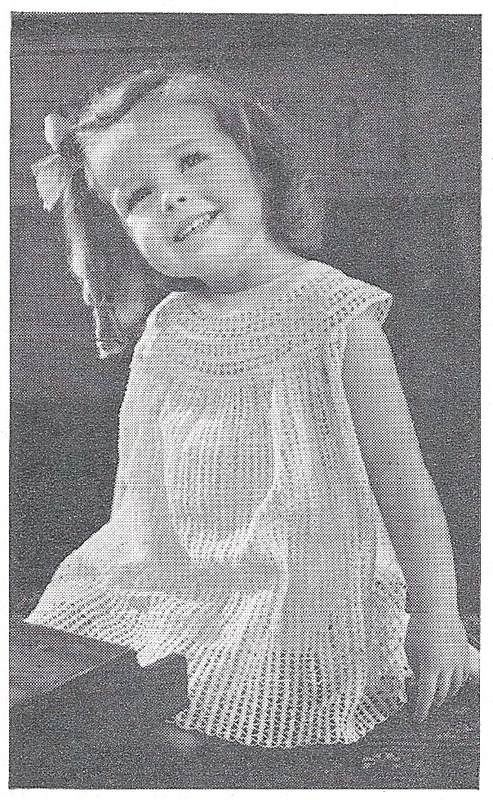 This free vintage crochet pattern came from the 1944 edition of "Crochet for Small Fry Dresses Book No. 211." This is the cover pattern entitled "Daddy's Pal." Another picture of the little cutie pie! It looks like this dress would come together quickly and would be a great addition for summer. 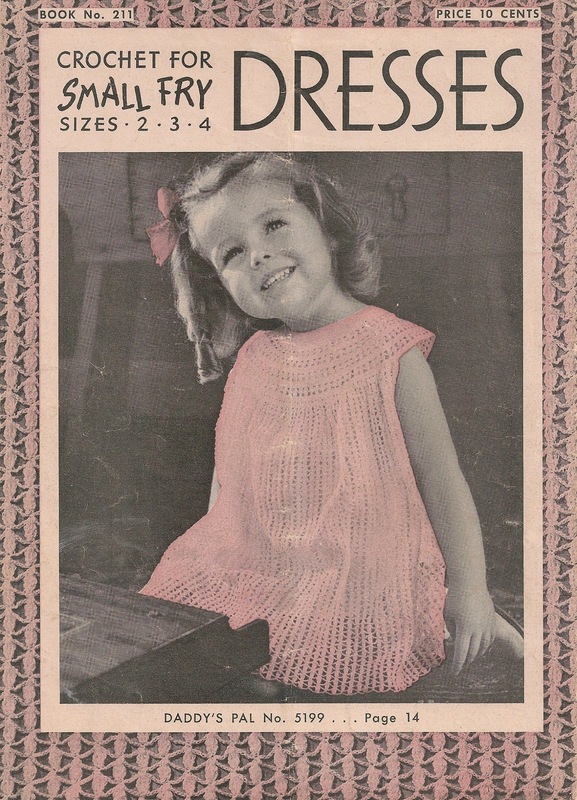 There are other dress patterns from this wonderful vintage crochet book and I'll be adding more free patterns before long!